July 04, 2018: The Union Cabinet chaired by the Prime Minister Shri Narendra Modi has approved the extension of the scheme of recapitalization of Regional Rural Banks (RRBs) for the next three years i.e. upto 2019-20. This will enable the RRBs to maintain the minimum prescribed Capital to Risk Weighted Assets Ratio (CRAR) of 9 per cent. The scheme of Recapitalization of RRBs started in FY 2010-11 and was extended twice in the year 2012-13 and 2015-16. The last extension was upto 31.03.2017. A total amount of Rs. 1107.20 crore, as Gol share, out of Rs.1450 crore, has been released to RRBs upto 31st March, 2017. 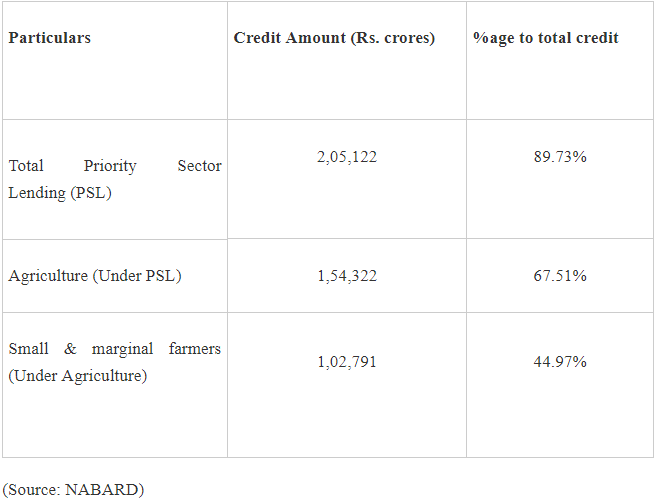 The remaining amount of Rs.342.80 crore will be utilized to provide recapitalization support to RRBs whose CRAR is below 9%, during the years 2017-18, 2018-19 and 2019-20. The identification of RRBs requiring recapitalization and the amount of capital to be provided, will be decided in consultation with NABARD. This is in addition to the announcement made in Finance Minister's Budget Speech for 2018-19 relating to allowing financially strong RRBs to raise capital from sources other than Gol, State Government and Sponsor Bank. RRBs were set up with the objective to provide credit and other facilities, especially to the small and marginal farmers, agricultural labourers, artisans and small entrepreneurs in rural areas for development of agriculture, trade, commerce, industry and other productive activities. RRBs are jointly owned by Government of India, the concerned State Government and Sponsor Banks with the issued capital shared in the proportion of 50%, 15% and 35% respectively.